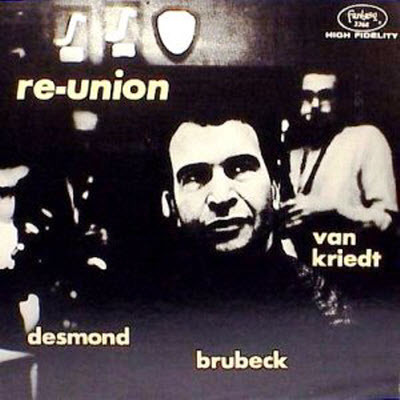 This Dave Brubeck album was recorded in 1957 and included the original tenor saxophone player Dave Van Kriedt but also included a new drummer Joe Morello (more below) and who I admire so much. This album, “Re-union” will be featured for a couple of weeks, check the schedule link for play times. Joe Morello had a knack for turning lemons into lemonade. Born visually impaired, he was largely restricted from taking part in outdoor activities as a child – a crushing blow for most young men. 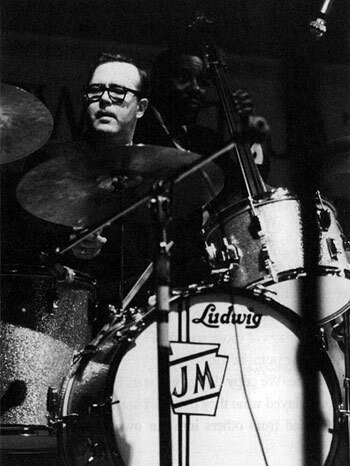 Yet while other kids played stickball or tag in the park, he turned his attention to learning music, and went on to become one of the most famous drummers in the history of jazz. Then, years later, after earning countless awards and accolades, Morello once again faced a difficult crossroads when his eyesight became so bad that he could no longer tour. So the legendary sticksman simply redirected his energy into drum education, taking on hundreds of students, composing a library of instructional materials, and developing a reputation as one of the greatest drum teachers of his era. Joe Morello fought every step of the way, battling bandmates and physical limitations, never allowing anything to alter his path. But the drummer faced his final hurdle on Saturday, March 12, 2011, when he died of heart failure at his home in northern New Jersey, leaving behind legions of fans and followers whose lives were forever changed by this iconic drumming legend. Joe Morello was born in Springfield, Massachusetts on July 17, 1928 – the same year singer Fats Domino, newsman Roger Mudd, and poet Maya Angelou were born. Encouraged by his family, Morello first turned his attention to studying violin at the age of six. He developed so rapidly on the instrument that only three years later he appeared as a soloist in the Mendelsohn Violin Concerto with the Boston Symphony Orchestra – a feat that he again repeated at the age of 12. Though his career as a violinist seemed well underway, it became unpredictably sidelined when Morello got the chance to meet and hear his idol Jascha Heifetz, a prodigy who had already gained international fame before immigrating to the United States from Lithuania at the age of 16.